from High Definition & Digital Cinema Ltd. 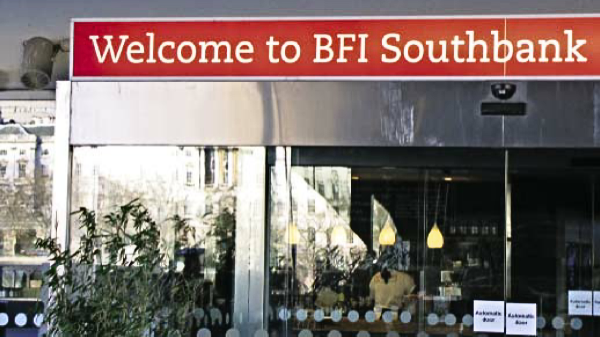 The Digital Imaging Technician (DIT) seminar is a two-day programme which has been held at the BFI Southbank in December 2014 and November 2015, and at Pinewood Studios in November 2016. 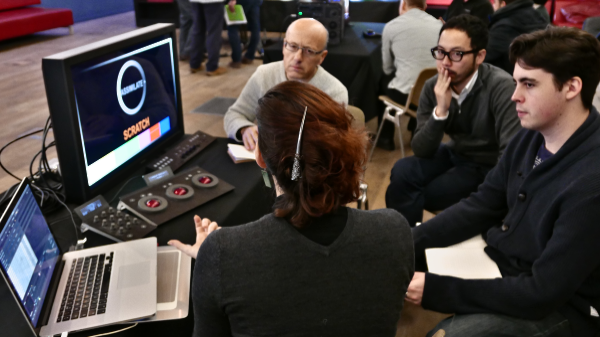 Organised by HDDC in conjunction with Creative Skillset, it serves as a pilot course for DITs to show the breadth of knowledge and practical experience they would need to perform this increasingly important role in the digital cinema environment. We are planning to repeat this course at various venues around the country. Watch this space! You can now find out more about our training courses via our Hiive pages. 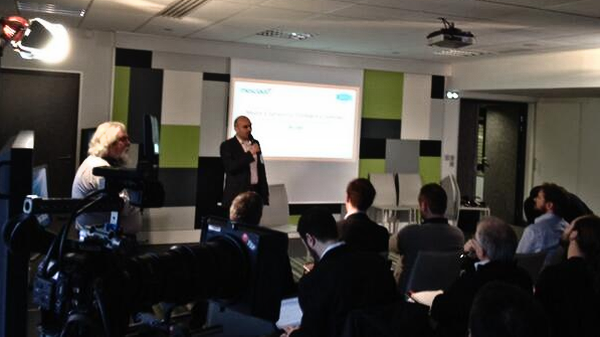 Hiive is a professional networking site hosted by Creative Skillset. 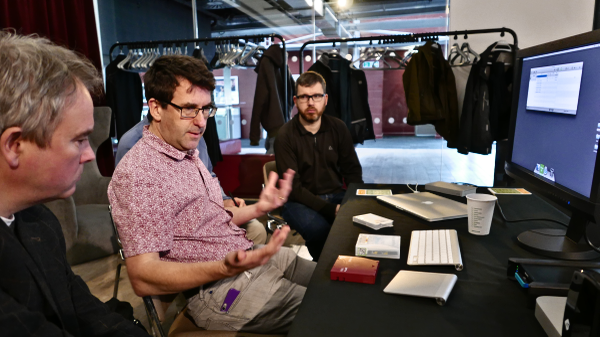 It's a digital community of collaborators from the creative industries all across the UK. Hiive allows professionals, employers and educators to tap into the UK’s collective industry insight. It's a community where you can get in, get on and get better! Connect... Collaborate... Grow! 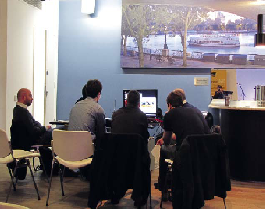 Our next DIT seminar and workshop will be held at RED Europe's facility at Pinewood Studios on Tuesday 22nd and Wednesday 23rd November 2016. The Course Leaders will once again be Peter Wilson, Martin Parsons and Meirion Hughes. Further details here! A brand new two-day course is being organised by HDDC and supported by Creative Skillset and the Event Cinema Association... More details soon! Need a training workshop? We'd like to hear from you! John Watkinson - UK International consultant in audio, video and data recording. Peter Wilson - International Consultant in High Definition Television and Digital Cinema. Alan Roberts - Colour Scientist and HD Camera Guru. Stuart Sommerville - Pioneering HD Equipment Designer. 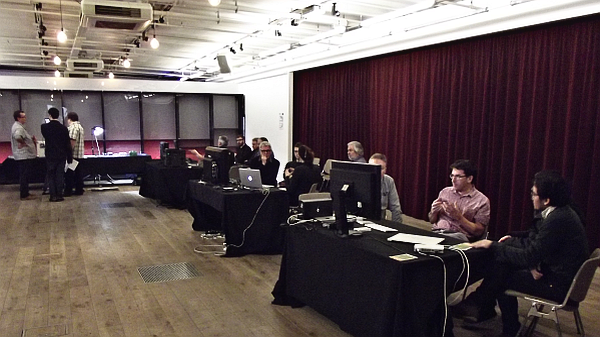 The course was well attended by 35 delegates from broadcast, production, post production and archive areas. Introducing the course, Peter Wilson gave a brief background of HD TV and its history, with show reels going back to the 1980s and forward to current BBC HD productions. This was followed by lectures on the relevant topics by John Watkinson. Day Two was again introduced by Peter Wilson, this time talking about alternative applications of HD TV, with show reels covering pop concerts and car commercials. 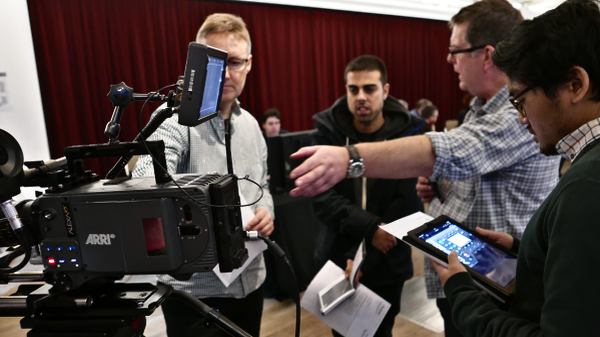 The delegates were split into three groups for practical sessions, specialising in Camera Technology (with demonstrations), System Issues (with demonstrations) and Recording Theory. At the end of the second day there was a lively wrap-up Q&A session with all four speakers and delegates. The course delegates each received a CD-ROM with the camera system and introduction presentation from the first day and a copy of John Watkinson’s book entitled Convergence in Broadcast and Communications Media. 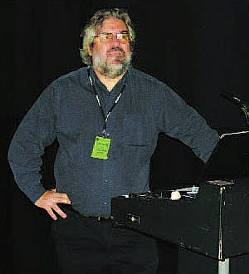 John Watkinson- UK International consultant in audio, video and data recording. Peter Wilson- International Consultant in High Definition Television and Digital Cinema. The Digital Cinema Initiative (DCI) was set up to establish specifications for D-Cinema, ensuring a uniform and high level of technical performance, reliability and quality. By laying out a common set of content requirements, distributors, studios, exhibitors and vendors can be assured of interoperability and compatibility. Conformance to DCI's specifications is considered a requirement by software developers or equipment manufacturers targeting the D-Cinema market. 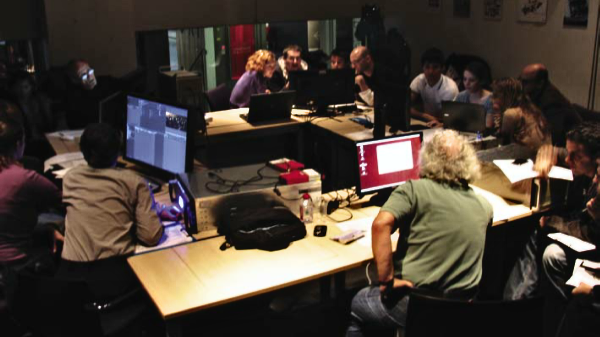 This One-Day pragmatic course was developed for Post Production and Distribution professionals facing the challenge of cinema migrating to digital. 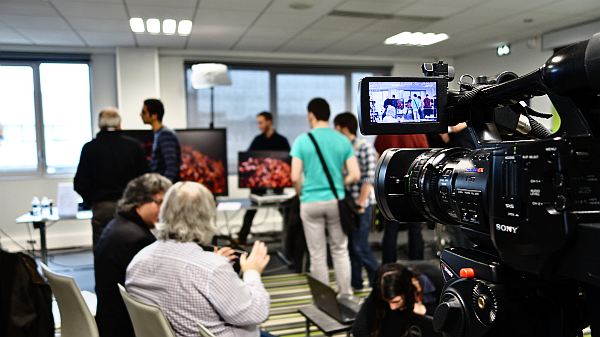 The course explained how Digital Cinema developed and why certain decisions were made when defining the key parameters. Issues involving Colorimetry, JPEG 2000 Compression, Security Management, MXF Digital Cinema Packaging and the differences between D-Cinema and HDTV were also discussed. 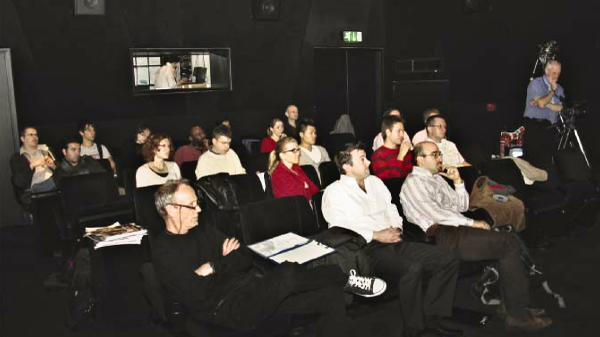 A two-day workshop that integrated the functions of the human visual system and hearing, with the techniques required to practically produce Stereoscopic productions. 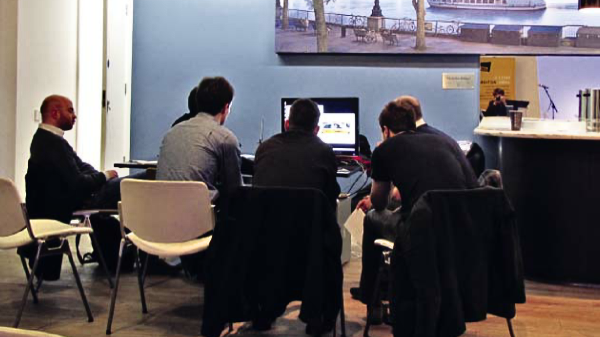 The workshop concentrated on the theory and practice of live Stereoscopic capture with dual-camera rigs, Post-Production (including ortho-stereoscopic correction) through to the types of delivery systems. This workshop was presented by HDDC with the support of the SKILLSET Film Skills Fund. 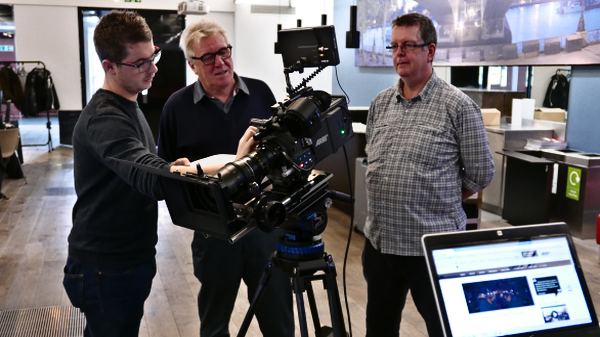 Technical support was provided by ARRI Media, Quantel, P+S Technik and Codex, running in conjunction with a number of leading industry trainers. "Everything you need to know about making compliant DCPs"... 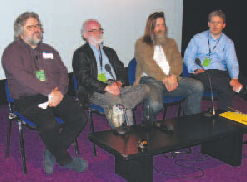 The first day covered the 'theory' of creating a Digital Cinema Package, starting from first principles and covering all aspects of file formats, JPEG2000 compression, encryption and creating CPLs (Composition Playlists) in XML. 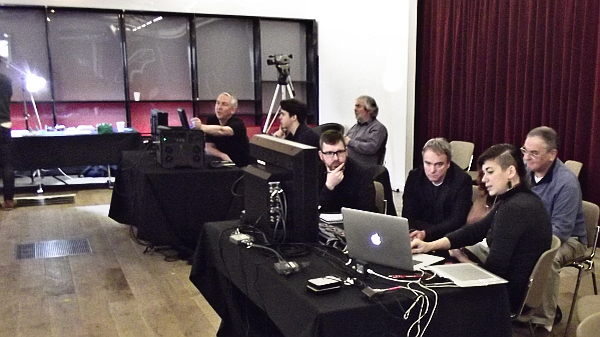 On Day Two, delegates were then able to put all this theory into 'practice', receiving hands-on instruction in the technology involved, each of them turning an actual film clip into a finished Digital Cinema Package. 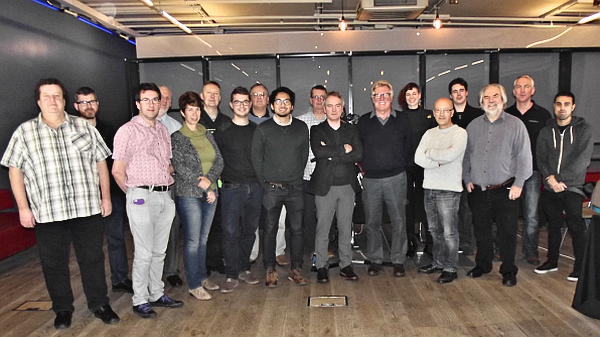 A full range of mastering equipment and support were provided by Doremi, Qube, Dolby, the Fraunhofer Institute and DVS. 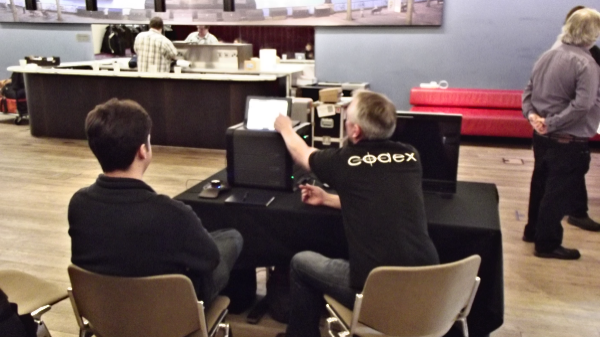 Those taking part were thus able to receive quality time from the people that make and sell the systems and the rare opportunity to interact with all of these manufacturers in the same room... as well as the top expert in Digital Cinema Mastering Jim Whittlesey. Jim is the foremost expert bar none in the world and is a pioneer in file based workflow, having been a key part of the design team of the Grass Valley Profile video server. 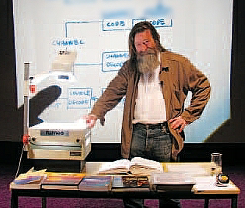 He was a key player in the creation of MXF, the ubiquitous file wrapper. While at DCI (Digital Cinema Initiatives) he co wrote the DCI Requirements document, since then he has contributed heavily to the SMPTE standardisation and has worked on more packages with more late nights than anyone else for Deluxe Labs in Burbank! 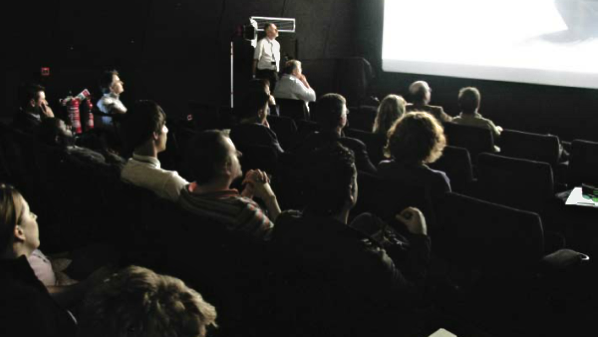 At the end of the course, the participants gathered in the BFI's Studio Cinema to watch and discuss the results of their efforts, with particular attention being given to any errors that may have been made in encoding the sound or subtitles. After merely two days, the results overall were very encouraging! This was a course in two parts. 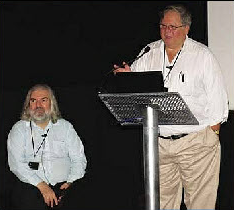 The first was a half-day SEMINAR predominantly aimed at Film Festival Management and Technicians, covering such concepts as organisation, logistics, local business partnerships, key technical points and security issues. Following that, the Technicians could then attend an intensive hands-on WORKSHOP, receiving detailed technical and operational training, supported by equipment and operators from industry leaders Qube, DVS, Fraunhofer iis and Doremi Labs. Martin Parsons - Image Eyes Ltd.
Peter Wilson - HDDC Ltd. The Digital Imaging Technician (DIT) is a fast-evolving on-set role with ever increasing responsibilities. In the film world this function would have been carried out by the Clapper Loader, but in Digital Cinema the role has expanded immensely. 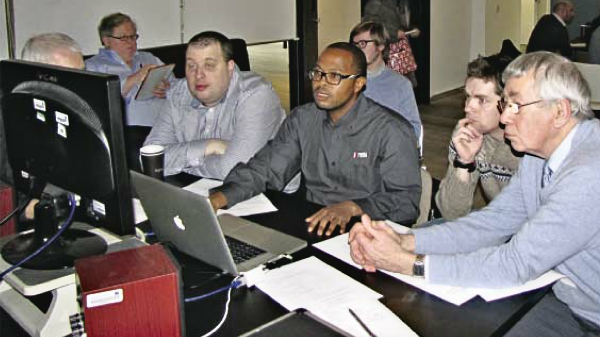 This two-day seminar and workshop was aimed at existing professional camera crew, as well as post-production personnel such as data wranglers, who need digital imaging and data management skills to increase their employment prospects. 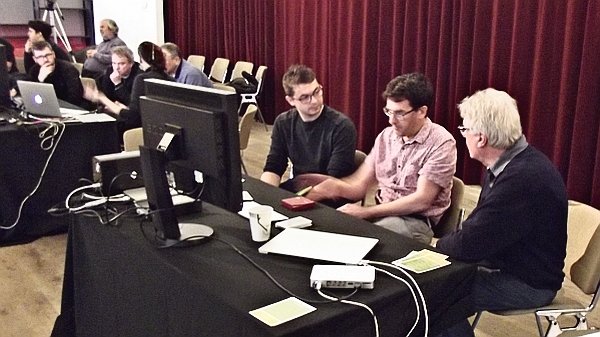 On Day One of the course, the attendees received theoretical training in a diverse range of subjects, including image capture, quantization, digital theory, camera chip formats, the meaning of RAW, colour separation, true resolution, gamma and log processing, compression schemes and pitfalls, recording systems, file formats, storage operating systems, workflows, metadata and logistics. 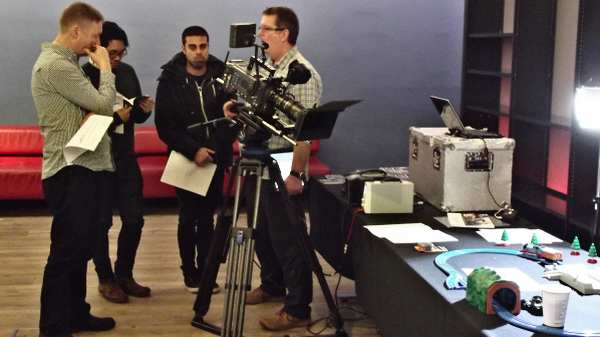 On Day Two, they enjoyed practical hands-on experience with products from several supporting organisations, such as ARRI Alexa cameras, Codex onboard recorders, Assimilate Scratch Lab and YoYotta "dailies" software.